A LUAS STRIKE planned for this weekend has been called off. Trade union Siptu said it had agreed to cancel the 48-hour work stoppage to facilitate talks. The breakthrough comes after Luas operator Transdev last week served all staff with protective notice. Workers were told in a letter that future employment would be on a day-to-day basis until further notice. The company had also warned that it would begin to “recover the costs” of industrial action – or dock striking workers’ pay – from 24 April. Talks aimed at ending the dispute broke down last month after union members rejected a deal involving gradual pay rises over a period of just under three years. Staff had also objected to proposed productivity measures and lower pay rates for new drivers. Transdev welcomed today’s announcement in a statement, saying it would write to Siptu to see if there was a basis for renewed negotiation with the tram driver grade. The company said it also plans to meet the traffic supervisor, revenue protection officer and supervisor grades tomorrow to discuss proposed pay increases. 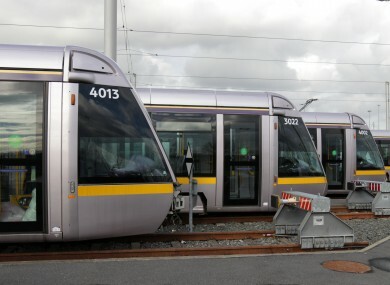 Siptu organiser Owen Reidy said: “The Luas drivers decided today to unconditionally cancel the 48-hour stoppage scheduled for this weekend in order to create a window for talks with management aimed at finding a resolution to this dispute. Reidy said the union had also requested an urgent meeting with Minister for Transport Paschal Donohoe to convey the concerns of its members “should this dispute continue indefinitely”. Further work stoppages are still planned for 28 April, 4 May, 13 May, 20 May, 26 May and 27 May. Email “Luas strike scheduled for this weekend called off”. Feedback on “Luas strike scheduled for this weekend called off”.